Published in 2005, OPS 8 transports readers to a Southwestern landscape—beautiful and culturally rich on one hand, and historically oppressive and contentious on the other—to reveal youth organizing that draws heavily on tradition, yet is boldly innovative in its approaches. OPS 6 was one of five installments that detailed the development of youth organizing in specific regions across the United States. Whether a “region”has a coherent identity is debatable. Still, this place-based dissection brings us closer to work that by definition is grounded in and led by communities. 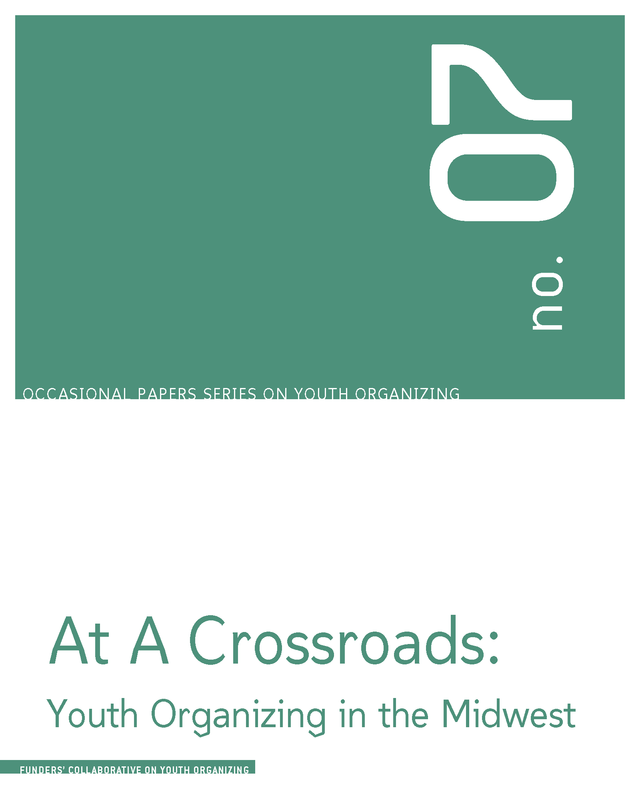 Published in September 2005, OPS 7 challenged the notion of a homogenous Midwest to map the contours of a growing and increasingly varied youth organizing field in and beyond Chicago. OPS 7 was one of five installments that detailed the development of youth organizing in specific regions across the United States. Whether a “region” has a coherent identity is debatable. Still, this place-based dissection brings us closer to work that by definition is grounded in and led by communities. 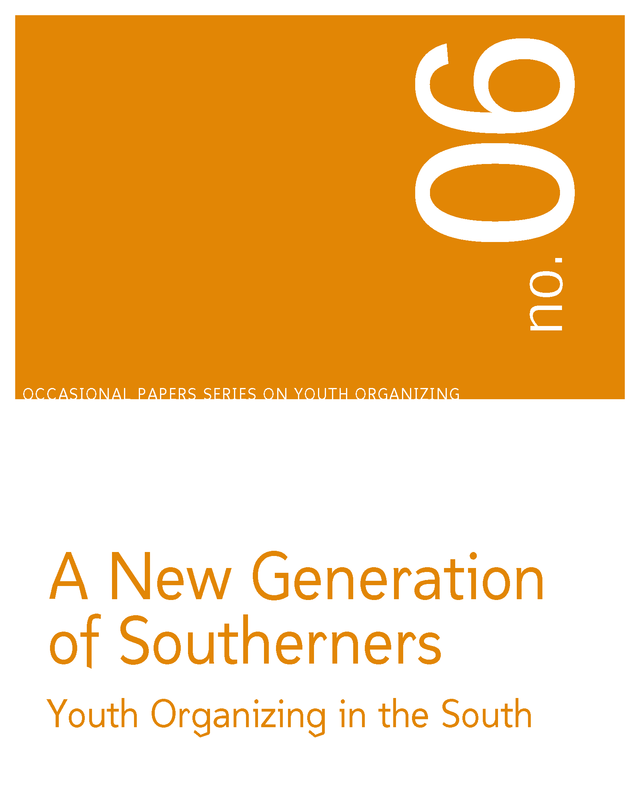 Published in September 2004, OPS 6 describes the sociopolitical and historical backdrop of efforts by youth and their communities to build hope and local power for social change and justice in the South, and how local and regional dynamics shaped those organizing efforts. OPS 6 was one of five installments that detailed the development of youth organizing in specific regions across the United States. Whether a “region”has a coherent identity is debatable. Still, this place-based dissection brings us closer to work that by definition is grounded in and led by communities. 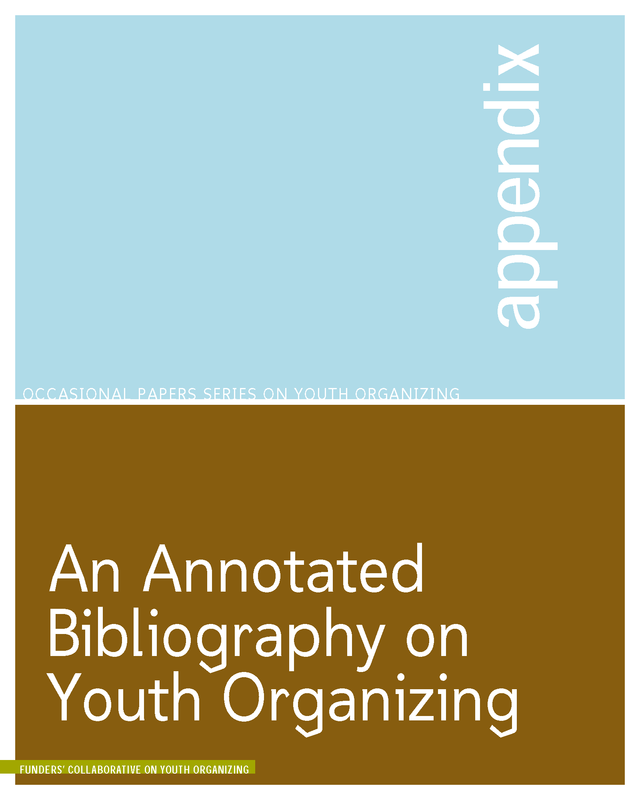 Published in 2003, this Annotated Bibliography is divided into four sections: 1) Youth Organizing Reports and Evaluations provides an analytical and evaluative account of youth organizing efforts; 2) Reflections From the Field presents a range of commentarty, specific examples, and questions being reised about youth organizing; a 3) Youth Organizing Curricula and Toolkits provides references and tools for practice; and 4) Theoretical Literature on Youth Organizing and Related Fields provides articles that have been published in more academic, peer-reviewed venues. 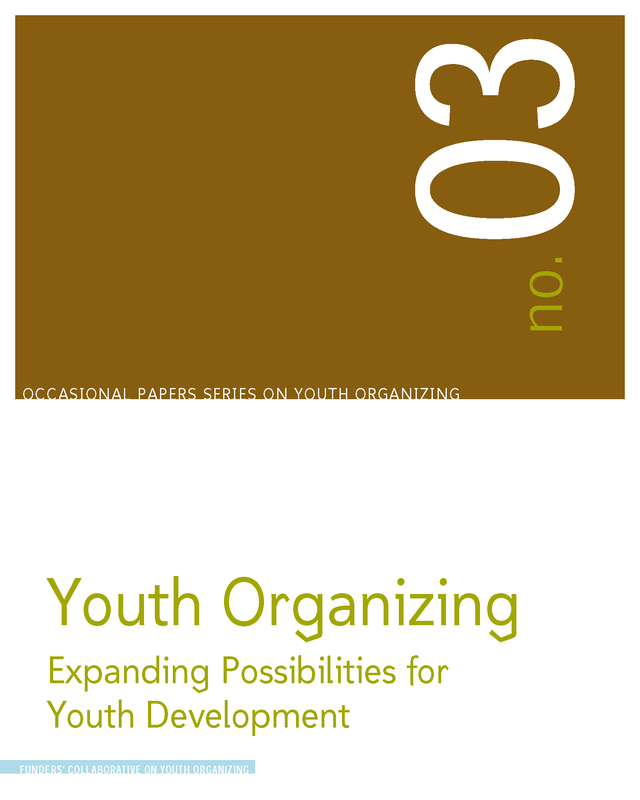 Published in 2003, OPS 3, looks at the nexus of youth development and youth organizing, tracing how youth organizing yields positive youth development and social change. 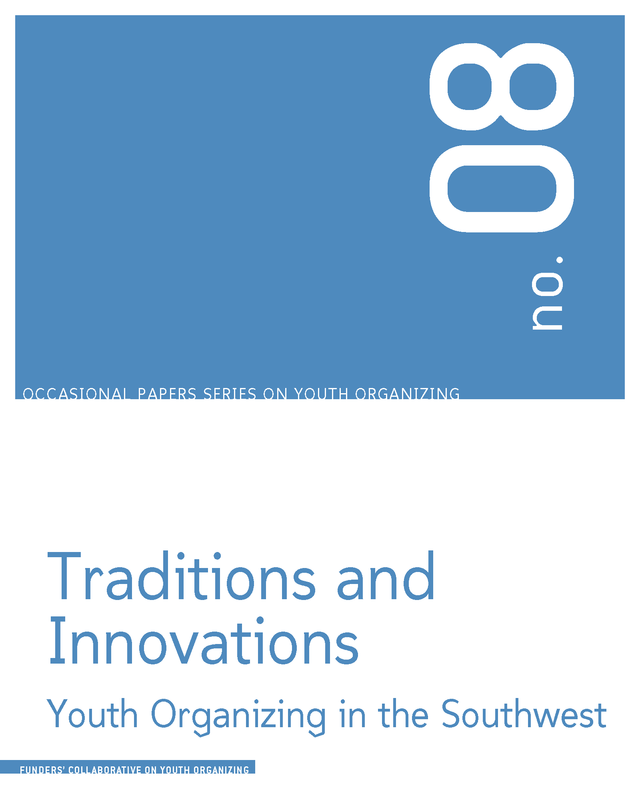 OPS 3 was part of the first three installments of the series, which looked at the fundamentals of youth organizing practice and its theoretical underpinnings. 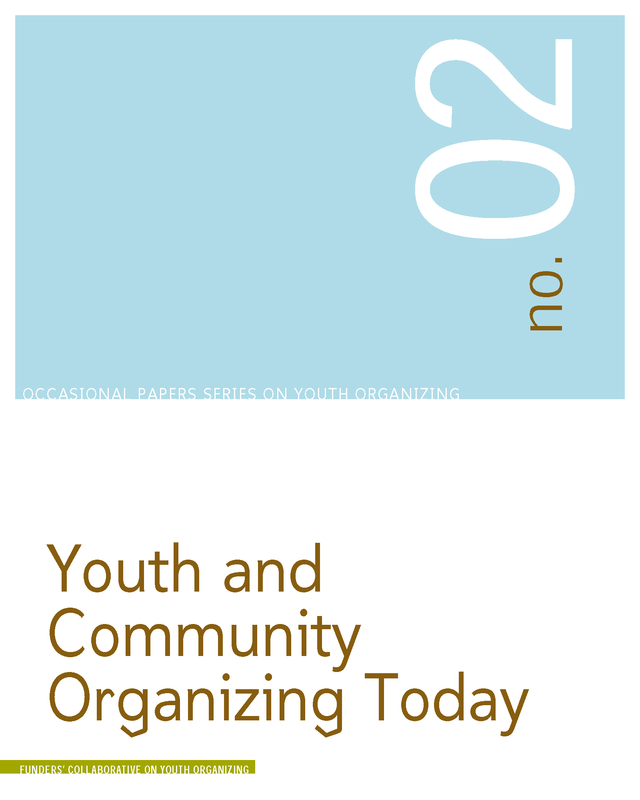 Published in 2003, OPS 2 traces the historical involvement of youth in social change efforts throughout the twentieth and twenty-first centuries and examines how the current phenomenon of youth organizing shapes community issues and community organizing. OPS 2 was part of the first three installments of the series, which looked at the fundamentals of youth organizing practice and its theoretical underpinnings. 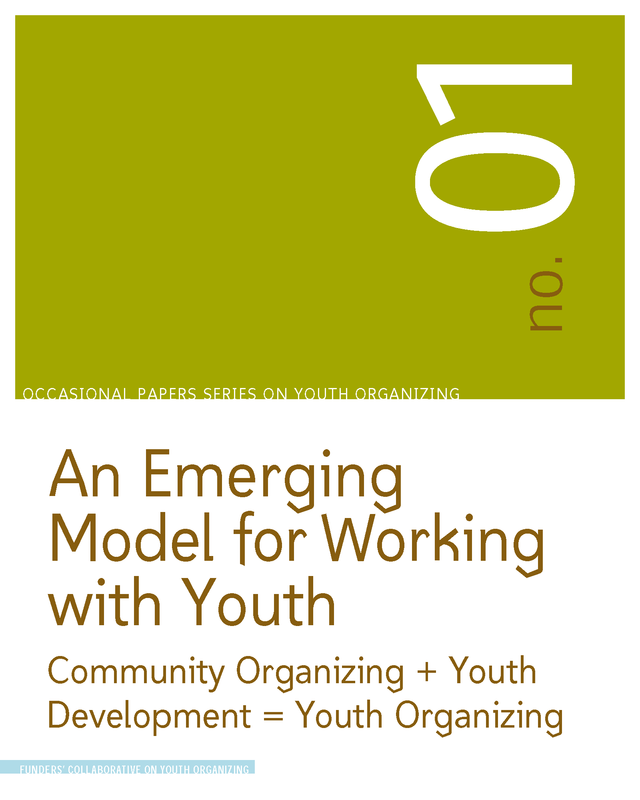 Published in 2000, OPS 1 was developed by LISTEN, Inc., then a training and support organization, and tackles the basics of youth organizing—origins, concepts, models, principles, and practices. OPS 1 was part of the first three installments of the series, which looked at the fundamentals of youth organizing practice and its theoretical underpinnings. A statement from the National Youth Alliance on Boys and Men of Color (formerly the Youth Table on Boys and Men of Color) released in 2015, which outlines recommendations for policy and philanthropic investment to truly improve the lives of boys and young men of color. February 18th at 1pm ET, the Funders' Collaborative on Youth Organizing (FCYO) will hold the first webinar as part of our new Youth Community Organizing Resource Exchange (Youth CORE), a set of projects that will seek to build a more powerful and well-connected youth organizing field over the next three years. This first in a series of field-wide webinars, one component of the Youth CORE projects, focuses on the ReGenerations: Leadership Pipeline Toolkit produced by FCYO and the Movement Strategy Center. In April of 2015, FCYO held the second webinar as part of our new Youth Community Organizing Resource Exchange (Youth CORE), a set of projects that will seek to build a more powerful and well-connected youth organizing field. On this webinar, FCYO and field leaders will share lessons and strategy on building and expanding power in a new youth organizing landscape.